No tractor required! Bedding perfection for loose housing with either round or rectangle bales. Flexible Hydraulic Spreading. Adjustable pressure sensing automatically stops or reverses the bed chain to optimise processing speed. 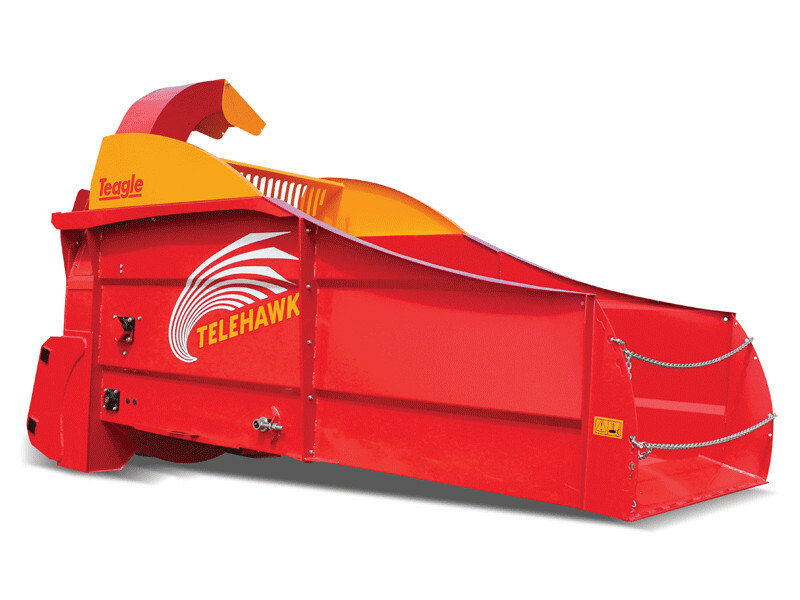 Slimline wireless Bluetooth® control for straight-forward communication between the operator and the Telehawk. Quick-hitch attachments are available for most popular telehandlers. Brackets available for Caterpillar, Claas Scorpion, JCB (Q fit & pin/cone), John Deere, Kramer, Manitou, Matbro, Merlo P26/27/30, New Holland - Please contact us for availability of brackets not listed.